Salisbury sloping hood easily attach to the top of lockers and provide a finished and professional appearance to locker installations. Sloping hood prevent items from being stored or hidden on top of lockers and provide an easy to clean surface for a healthy environment. 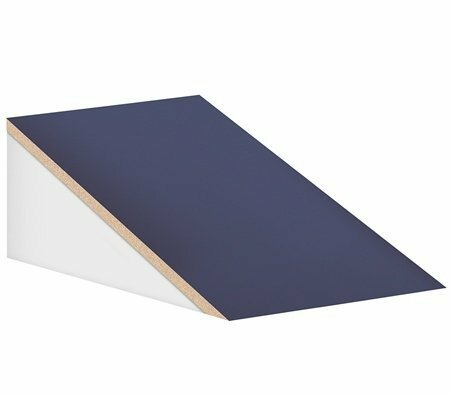 Constructed with durable plastic laminates in 6 colors. Available in 1 wide and 3 wide and in 18" depth, 21" depth and 24" depth. Salisbury Industries is an ISO 9001: 2008 certified company and has excelled in the field of manufacturing since 1936.